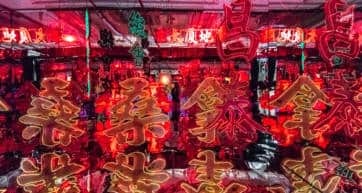 Day and night, rain or shine, regardless of whether it’s a weekend or a workday, Causeway Bay—or CWB as the locals shorten it—is always full of action. The MTR station constantly spills out throngs of young people who come here to seek out new trends, name brand high fashion, and local boutiques. If you were so inclined, you could spend an entire day here just shopping, eating, getting a foot massage, and seeing a movie. The sidewalks are tight and the crowds are thick, so watch out for delivery men pushing box-laden trolleys and grannies wielding umbrellas. Large department stores dominate the main strip along Hennessy Road, including the landmark SOGO, Japanese cosmetics shops, and Hong Kong gold stores, such as Chow Sang Sang. If you’re into beautiful clothes, then Fashion Walk is a must-see, and Times Square, the largest mall in the area, has more than 200 shops to pick from. For a more low-key ‘local’ shopping experience, take a stroll through Jardine’s Bazaar, a narrow lane of shops and vendors selling affordable clothes, bags, shoes and accessories. 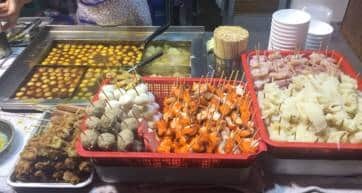 At the end of the bazaar you’ll find a local wet market, and lots of small cafes and restaurants selling Cantonese comfort food. If shopping isn’t really your thing, there are other things to do in CWB, such as the expansive Victoria Park. 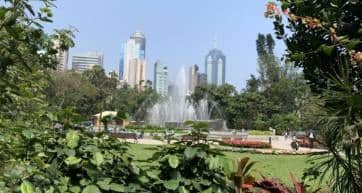 This green oasis in the middle of a crowded city is a great place to escape, with shady tree-lined walking paths and wide open spaces. In early mornings you can find people practicing tai chi, and on Sundays domestic workers hang out by the big water fountain, enjoying their day off. Victoria Park is also where the large Mid Autumn Lantern Festival is held, along with a Flower Market during Chinese New Year. Walk towards the waterfront and you’ll come to the Noon Day Gun – an icon made famous by the Noel Coward song Mad Dogs and Englishmen. 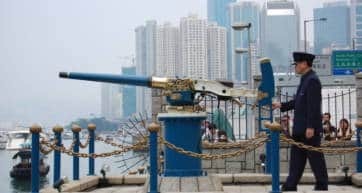 A must-see for history buffs, the gun is fired every day at noon, a tradition which started in the 1860s when Hong Kong was a British territory, and continues today, in full military uniform. You can find a lot of variety in CWB when it comes to food, though Thai, Japanese and Korean are extremely popular in this area. Fashion Walk has a great alfresco dining area aptly named Food Street, with a lovely Hong Kong-style tea house, and French, Spanish, Japanese and Shanghainese cuisine. Need a pint? 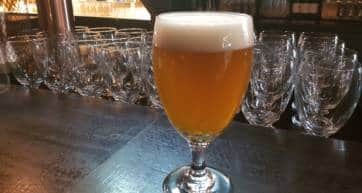 Get comfy at King Ludwig German restaurant and choose from their expansive beer menu. If you’re looking for good dim sum, head to Jade Garden for lots of delicious dumplings and desserts, and they have a menu in English too. 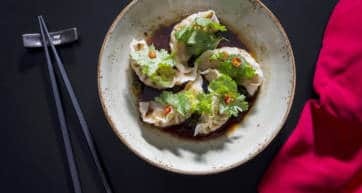 Din Tai Fung is another dim sum champion, and was recently awarded a Michelin star. For cheap and cheerful Cantonese food, try Hong Kong chains Cafe de Coral (speciality: barbeque pork with rice), or Tsui Wah for its popular tea sets and noodle soups. Be warned, these places get extremely crowded at lunch time, and sharing ‘your’ table may be expected. Tenzen and Sushi Hiro are both popular Japanese eateries, but for something more laid back take a seat at the revolving conveyor belt at Genki Sushi for a quick sushi fix. On a cold winter’s day, hot pot is a favourite, and if you really like some flames in your food, try Sichuan restaurant San Xi Lou, known for its hot red chilies. CWB is also a great place to take in the view of Victoria Harbour. SKYE, located on the rooftop of the The Park Lane Hotel, is an expansive 8,000 square foot bar and restaurant which will make you feel like you’re on top of the world. Shelter Italian Bar & Restaurant is equally noteworthy, as is ToTT’s—short for Talk of the Town—located atop the Excelsior Mandarin Oriental Hotel. The best time to go for a harbour-view cocktail is at sunset, as you get to see not only the sky changing color, but also the city, as millions upon millions of lights begin to twinkle, welcoming the night. Causeway Bay is great if you want to be in the middle of things, as it’s an easy MTR, bus or taxi ride to Central, and well connected by public transportation. Shops and restaurants stay open until late, making it convenient to go out and find something to eat or drink at any time, and you’ll be glad to go dump your shopping bags at your hotel before going out for more. There are quite a few hostels in CWB offering cheap dormitory rooms, and recently some new Japanese-style capsule hotels have opened their doors, such as L’étoile de Mer. If sleeping in a capsule doesn’t entice you, Mini Hotel is a good place to rest your head without having to listen to someone snore, but it goes without saying that the rooms will be tiny. For traditional hotels, check out the Rosedale Hotel, Empire Hotel, or Somerset Victoria Park, all of which are walking distance to the MTR in a great location. The popular Metropark Hotel has harbour view rooms, a gym, and best of all, a beautiful rooftop pool overlooking the city below.